As you know, I like to dabble with photography. 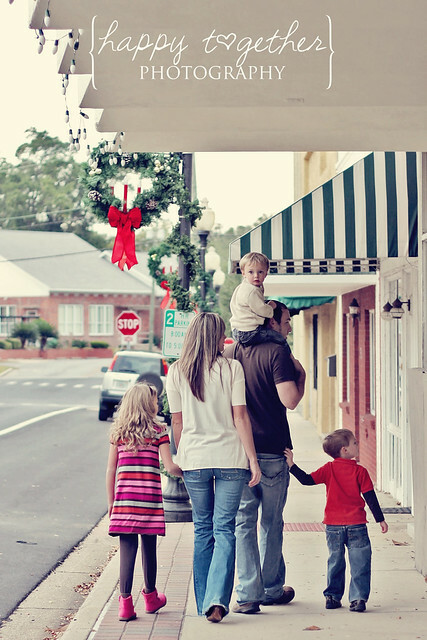 I would like to one day take family pics as a small business on the side. 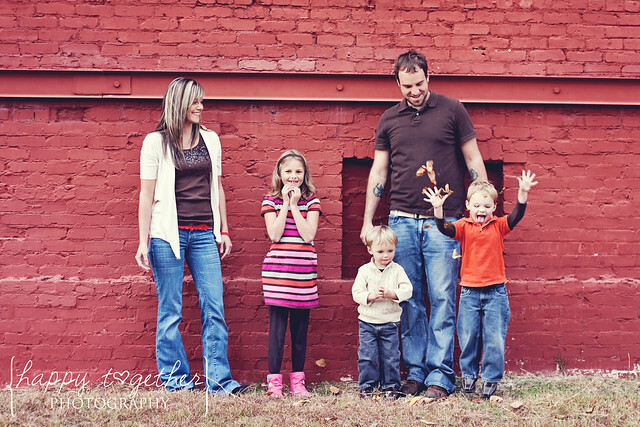 The reason I like it is the fun that comes from capturing a family having time together. 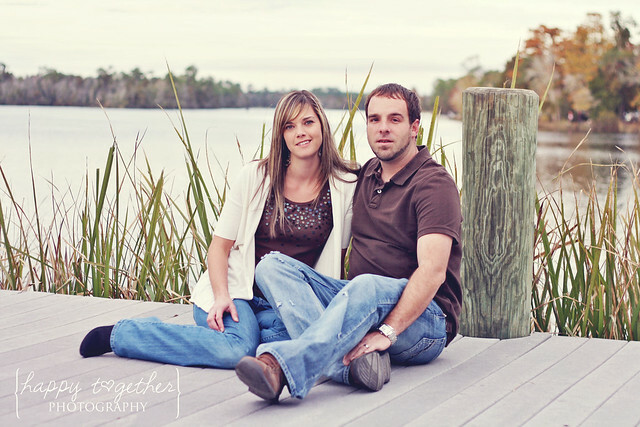 I love having nice pictures of my own family, so I love taking pictures for others to enjoy of their family as well. 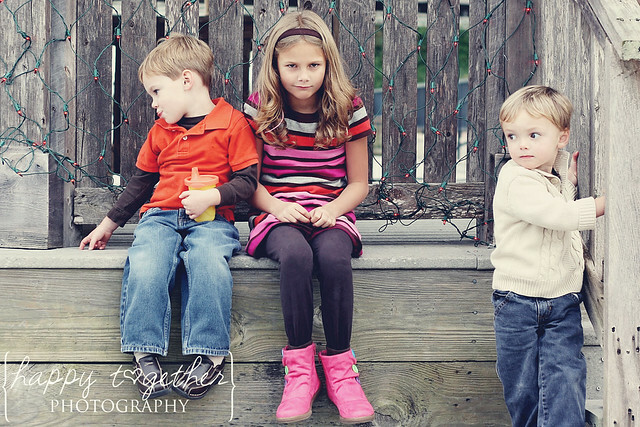 This past November, one of my friends asked if I could take her family pics for Christmas. I of course said yes!!!!! I feel very blessed that I have friends who think I’m good enough to do their pictures. 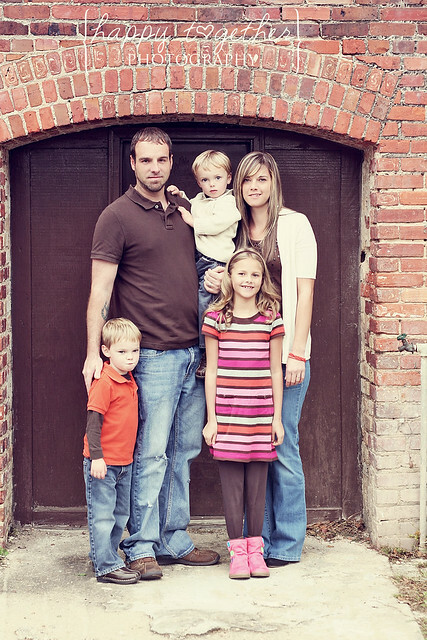 I was excited about this because I have also never done pictures for this big of a family before. We went to a small downtown area and had at it. I wanted to practice in a few different spots and they obliged 🙂 It was decorated for Christmas and so pretty. We did a lot of family pics and then I wanted to get some good ones of the mom and dad. 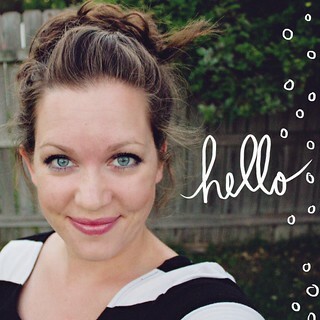 I’m getting exited because I have two maternity sessions planned soon as well! Photography is just such a fun art to me and I am loving learning about it. One of these days I’ll get it all down! 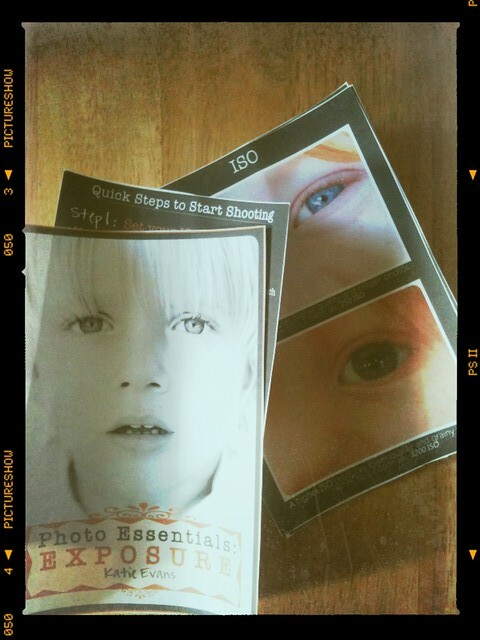 Until then, I have wonderful resources like this great little photo essentials Exposure guide by Katie Evans. I plan on laminating this and carrying it with me because sometimes it’s good to have the “how to” for when shooting in manual right in front of you! Great pictures! What kind of lens do you have? 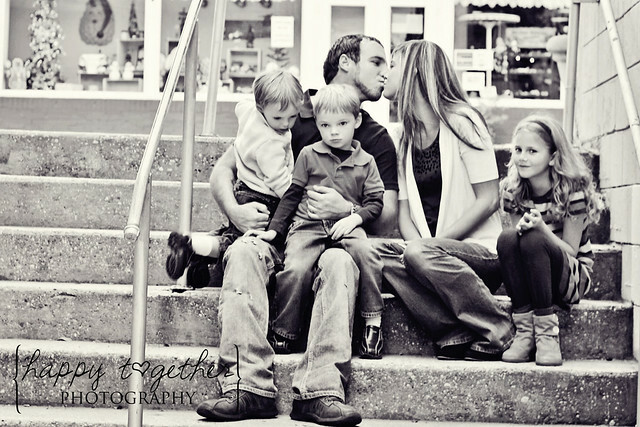 You got some great shots of this cute family! Blessin’s to you~! Very nice! Photography is a great love of mine, has been all of my life! You are very talented, I wish I had the camera you have. Well done! I love the shot by the red wall. Beautiful pictures. What lens do you use? As for the great color, I attribute it to a few things. First off, my friend did a fantastic job picking out their outfits. I sent her some links other photographers had written on what to wear and she did a great job applying that to her selection. Second, the lens helps create a better picture overall. Third, well, Annie’s actions are just simply amazing!!!!! I plan on doing a post soon of some before and afters. 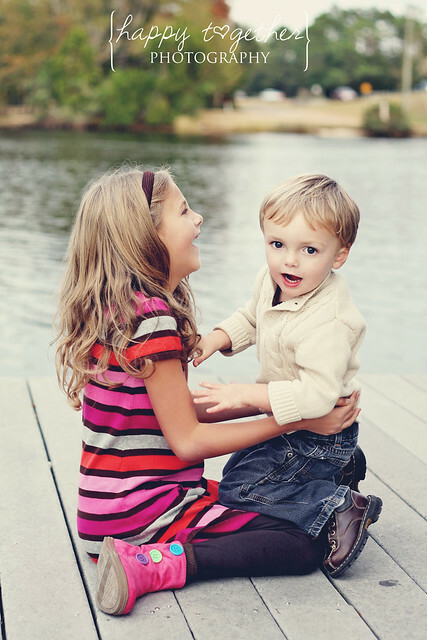 You really won’t believe how amazing they make photos and they are so easy to use. They are the best actions out of all the ones I have ever tried.